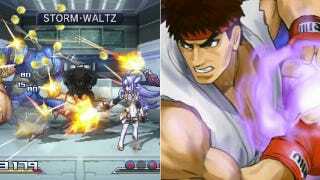 Project X Zone is an upcoming collaboration from Capcom, Sega, and Namco. The game is a role-playing sim and features characters from all three game makers. The characters square off in groups of two and duke it out. Have a look at the game's first screens. Project X Zone is slated for a 3DS release sometime this year.